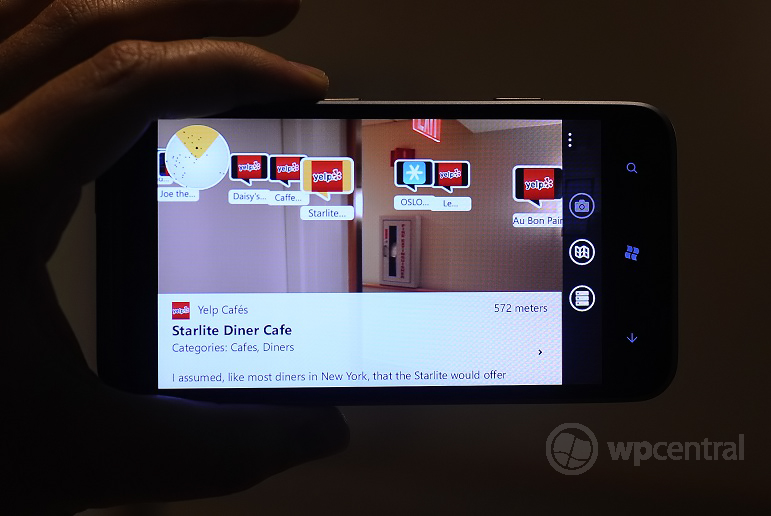 Don't have a Nokia Windows Phone but want Augmented Reality? Try Wikitude. With all the hype Nokia devices get especially with their onslaught of custom software, we figured we'd throw a bone to the rest of you who aren't on the Lumia train. In case you missed it, Nokia launched the beta of City Lens today. A nifty little app that uses the camera, gyroscope, compass, GPS and internet to show you in real-time where shops, coffee houses and restaurants can be found. It's certainly well done but not particularly original (see LG's ScanSearch app from 2011). But in case you own an HTC or Samsung phone and want to have the same functionality there's a great free option already out there: Wikitude. Actually, Wikitude does even more than City Lens since it's more robust with search features. It's been around for awhile and is found on competing platforms making it more widely supported. It hooks into Yelp, Twitter, Flickr, Starbucks and more. Heck, their system even has APIs so dev's can integrate Wikitude's services into their own apps. Did we mention it's also a lot fun? Sure, seeing people literally tweeting around you is borderline creepy but it's also a bit fascinating. The app is free too meaning there's little reason for you not to give it a try, even if you use Nokia's City Lens. We found the service to be quite accurate and useful when traveling around the city. 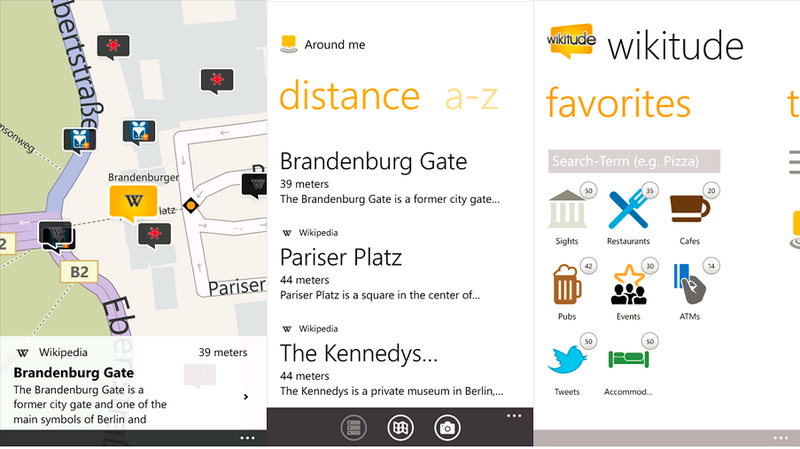 Pick up Wikitude here in the Windows Phone Marketplace. Let us know in comments how you think it compares to City Lens (if you have both).